Tweaking your living room lights can give the room a quick and easy makeover. Our living room is a bit dark when the blinds aren’t open. There are only the overhead lights and one lamp in that room. The candle holder above the mantle is strictly decorative since we never light the candles. We don’t like to keep the blinds open often, so the room seems pretty dull all day. Remodeling the room is certainly not in the budget right now, so lighting is an easy way to make big changes. When I opened the box containing the LIGHTIFY from OSRAM SYLVANIA starter kit, I was a little intimidated. I am not sure why since I love new gadgets. My reaction was completely inappropriate considering it took me all of three minutes to get set up. Once you download the free app, it walks you through the steps to connect to wi-fi and your products. The app detects each new LIGHTIFY bulb or product that you install. Originally, I was going to put the bulbs in our overhead lights, but it says on the LIGHTIFY bulb not to use with dimmers. So, I chose to replace the lamp bulb instead. 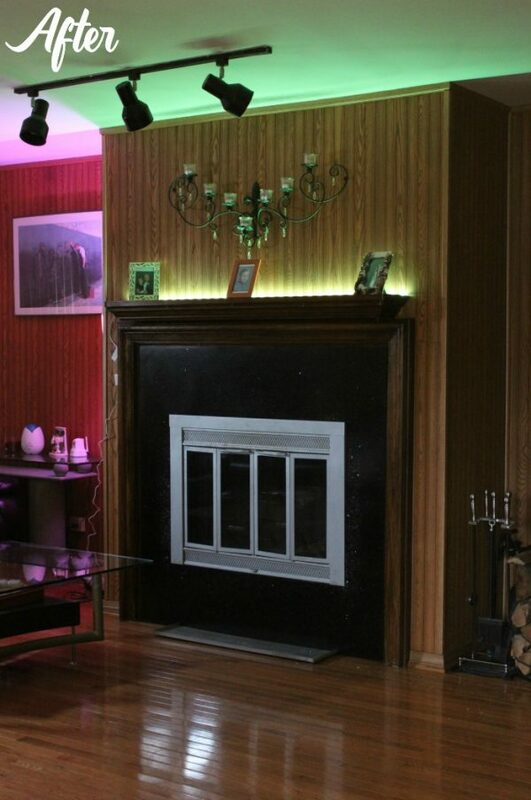 My favorite part is the LIGHTIFY Flex Strips on the mantle. I didn’t know where to put them at first, but now I want to install them everywhere. They are so crazy easy to install. Instead of bugging Mike to do it, I did everything myself in no time. Note when installing the strips: If you use a wood polishing product to dust, wipe that off first, so the strips stick better. Decor – Skip the major DIY and instantly transform the mood of a room with lighting. Health – Wake up to an energizing bright light in the morning by using the scheduling feature on the LIGHTIFY app. Wind down later with a more relaxing option. Boost your mood by changing the bulb to your favorite color for a bit. 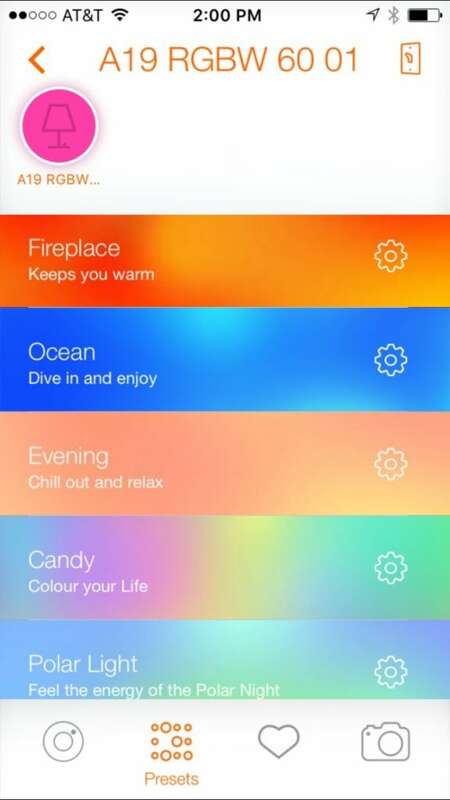 Turn on some beach wave sounds and meditate to the ocean setting – that’s right, there’s a section of themes on the app. There is an ocean setting that beams hues of blue. Safety – The LIGHTIFY app has vacation settings and gives the user the ability to control their lights from anywhere around the world. Don’t let anyone see your home vacant for too long. Turn your lights off and on periodically when you are gone for a while. Once again, you can automate this with the app. Temporary – Have a sudden urge to paint your walls magenta? Test it out first by changing the lights. LIGHTIFY bulbs can shine thousands of colors. It’s unlike anything I have seen. We aren’t talking just primary colors here — teal, violet, and colors I am sure I don’t know the name of. Integration – The LIGHTIFY Gateway works with a combination of products and up to 50 LIGHTIFY bulbs. 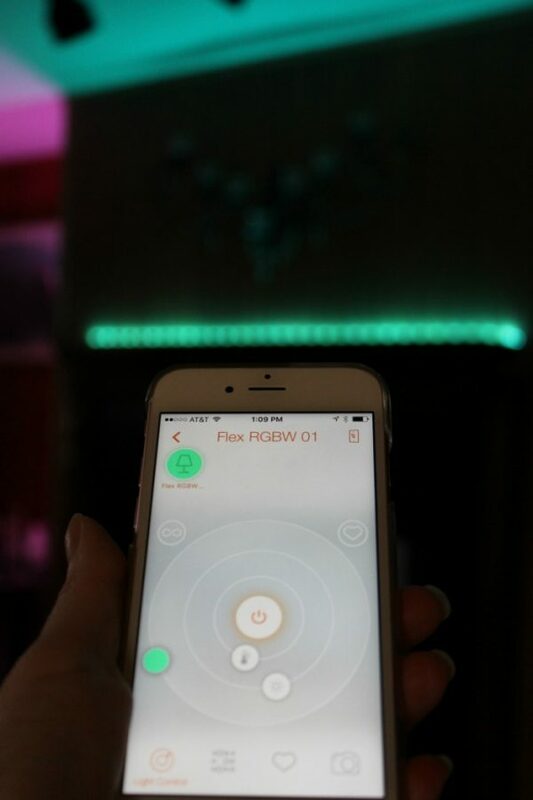 If you are already using a smart home product, LIGHTIFY is likely compatible with the wireless hub you own. No need for redundant technology. LIGHTIFY plays well with others. Now that I know how user-friendly this system is, I cannot wait to replace all the bulbs in the house. In the office, I plan to use the Tunable White bulbs. It’s amazing how different white lights can affect your productivity. Bright white light can help you be more alert and focused, which a little help in that department never hurts. Follow LIGHTIFY on Facebook and Twitter. Find LIGHTIFY products at Lowes and Amazon. Would you love new living room lights? Or, which room would you love a lighting makeover in? I would love this in my bedroom. I could control all the lighting, and not have to get out of bed? 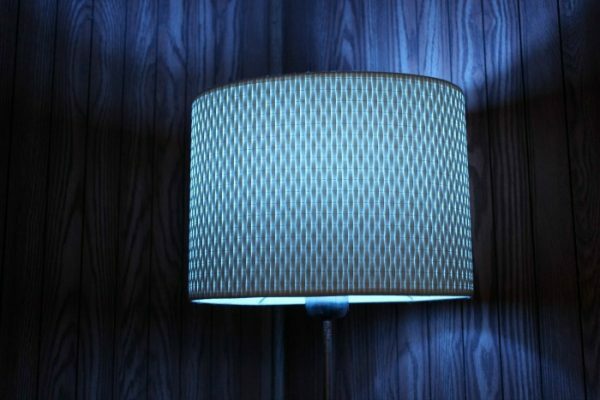 I would like to make over my bedroom with the LIGHTIFY starter kit.. I would love to give my bedroom a make over. I would love to makeover with the LIGHTIFY starter kit my living room and it does need better lighting. I’d do my living room. Needs help. I would like to have this in my bedroom. It is so dark – which is nice at night, but difficult during the daylight hours. I would love to makeover my living room with the LIGHTIFY starter ki. I’d like to makeover my living room with the lights. I would love to makeover my family room! It’s where we spend the most time and it sure could use it! This would be perfect! I would love to makeover our living room over the fireplace! I’d love to make over our master bedroom with the LIGHTIFY starter kit. I would like to make over my bedroom with the starter kit. 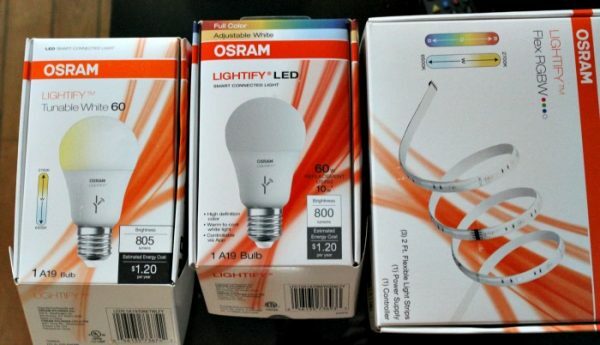 If I win, I would love to makeover my bedroom with the LIGHTIFY starter kit. I’d love to makeover our family room with lights if I win! I would love to add more lighting to my living room!! I would love to makeover my dining room / living room area with new lights. My bedroom for sure! It would be nice to have dimmer lights for relaxing with my wife . I really like these lighting options! I could use this to spruce up my living room, for sure. Makes it such a different space! I would love to make over my family room! I think it would really make the space more appealing. My living room could use some makeover. I’d like to makeover the family room. I would like it in our living room! I would make the lights in my bedroom because sometimes, I like brighter lights. 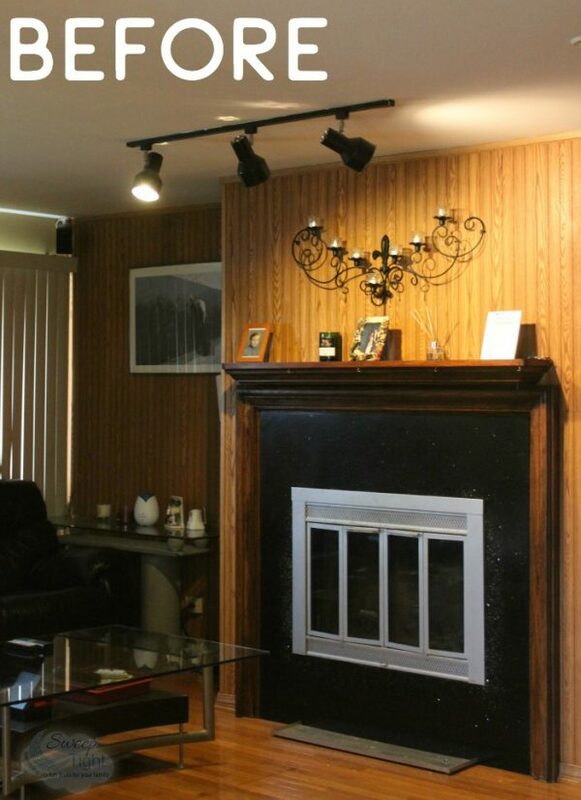 I’d love to add some specialty lighting to my living room. Right now it’s dark in some corners and harsh in others. I would like to try it in our family room. I would love makeover my living room. I would like to give my family room a makeover. I’d do the living room – it needs to be redone! I would makeover our family room. I’d love to makeover my kitchen’s lighting with this. It’s full of black holes! I would Makeover my Kitchen For sure! We live in our family room, using it the most of any room. I’d love to makeover our family room. 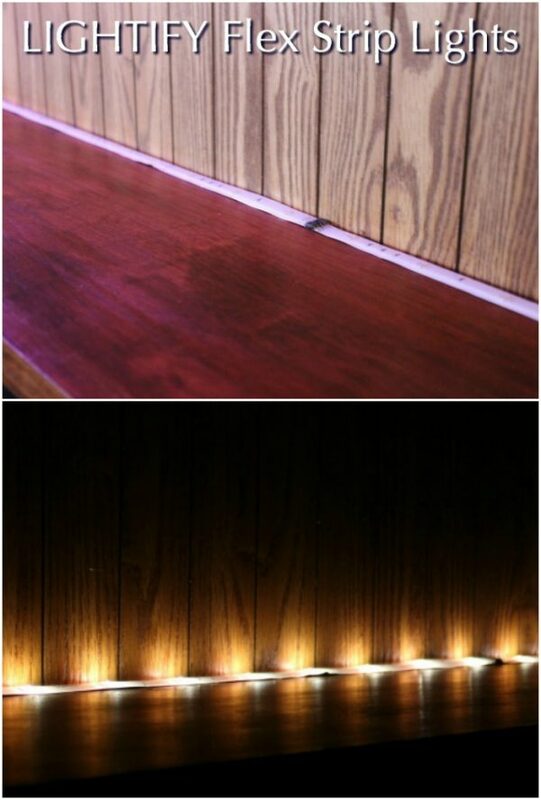 I would makeover our living room with the LIGHTIFY starter kit . I would love to redo our kitchen lights area. I would makeover the bedroom. I would love to give my living room a make over. I would make over the lights in my son’s room. I would like to update the lighting in my bedroom or my granddaughters room. I would do my bedroom. I would like to do one of our bedrooms. I would make over my living room. It could use some making over! I would love to use it in our master bedroom! My office, I do not get any sunlight in it during the morning, the sun right now doesn’t hit my office till almost 4 pm. My living room to be sure! It’s so dark I call it ‘the cave’! I would love to have it for our living room. I would love a makeover for my bedroom. Our dining room- I would love to create a nice ambience in there! i would use the starter kit to makeover my living room. it’s time for a makeover. I would love to do my living room. I would use them in my girls room. Thank you!! I would use these lights to make over my living room. I would like to makeover my liviing room. It just isn’t a very bright room so this would help I think. I would make over our living room with this kit. I would like to use this in my living room. It is dark and I don’t like having my blinds open. I need to makeover the lighting in my living room. My bedroom for sure! Love this! I would love to make over my living room/bedroom area. I live in a studio apartment. I would use the lights in our family room. I would love to add it to my living room. I’d like to make over my living room with these lights. My husband has already claimed this if I win for his mancave! What a cool invention! I would like to make over our family room. I’d like to makeover the living room lights with this. Thanks! I’d use it to makeover my bedroom. I would like to makeover our living room with the LIGHTIFY starter kit . I would like to use it in my living room because I seem to forget to turn off lights that I want off until after I sit down to watch a movie. I would like to let my daughter use them in her room. Her room could use some. I’d use it in my living room. I would love to use this in all my rooms lol. But I’d have to say my bedroom is where I spend a lot of time so I would have to say my room. I would like to make over my bedroom with the LIGHTIFY starter kit if I won. Thanks for the giveaway! I would like to give my bedroom a makeover. Oh my livingroom!! I would be so happy to see better light in there. Such a cool product for any room really. wonderful review too. OSRAM SYLVANIA make life easier on the eyes!! Would love this for our den ! First the bedroom then the living room! Love these lights…great mood! Our master bedroom. It could definitely use a lighting makeover! I would love to make over my dining room. This would be great! I’ve been looking for the right lights for my family room redo and these are it!! The Flex Strip lights will be the icing on the cake! I think it would be fun to make over my bedroom and add some special lighting.